President Trump will be releasing 2,800 files relating to President John F. Kennedy's assassination this evening, and withholding the rest until April 26, 2018 due to requests from various agencies, primarily the FBI and CIA, officials told reporters on Thursday. In a memo, Trump said that he "has no choice" but to redact information as requested by the agencies, citing concerns relating to national security, law enforcement and foreign affairs. 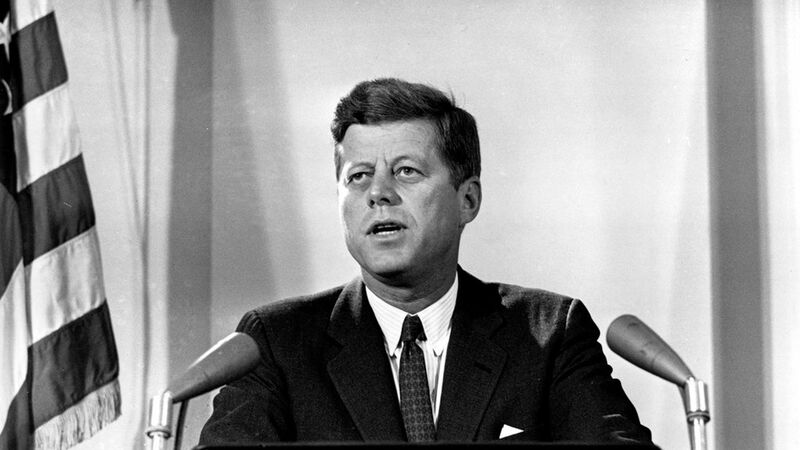 Officials said information regarding JFK's assassination should stay disclosed after that six month period "only in the rarest cases." As far as conspiracies go: NARA officials tell reporters that they will leave it to researchers to make significance of the files, but that the files released on Thursday will be easy to search for any specific topic people may be interested in.